How Many Will Not Read This, Thinking It May Mean Focusing On the Negative? I have been to 3rd world countries and know this photo is very realistic. I have looked into their eyes and seen their pleas for help … I have held their hands and listened, with my heart breaking, as children begged me to take them with me. I have talked with Palestinians whose homes, bank accounts, everything have been stolen from them. Still, they could smile and treat me kindly, when realistically Americans could easily be seen as “enemy” to the suffering Palestinians. On the other hand, I hear and read people–whom I do not doubt channel from the Heavenly Realms–encourage us to focus only on the positive and not give energy to the negative. Do those in the Heavenly Realms not see the same people I’ve seen? Do they not perceive the ways by which DOING LOVE can alleviate the suffering? Do they not understand that every problem on Earth plane has a root cause that can be eliminated? The major excuse I’ve heard for not focusing on the problem is that doing so energizes it. Also that to focus on the problem long enough to discern the solution is to interfere with the individual paying his karmic debt and we should not interfere. And yet, to BE LOVE requires DOING LOVE. WE ARE ONE … WHEN ONE SUFFERS, ALL SUFFER. This dichotomy has puzzled me for years. As one who has spent almost two decades sweeping under our planetary rugs to bring to Light some of the root causes to the problems on our planet, I sincerely do not understand. My heart and mind demands a search for permanent solutions, not temporary fixes like contributing to charity organizations. The fact that our planet is going through the process of ascension—an evolutionary leap in consciousness—brings this dichotomy to center stage. Do we ascend by ignoring the root causes of so much suffering and simply Being Love? OR … Do we ascend by joining hands as Love Beings in Doing Love and eradicating the root causes? OR … do we truly not comprehend what the Heavenly Realms are saying to us? After all, we are striving to BE LOVE & DO LOVE in a far denser energetic field than they are; this would naturally require more hands on effort on our part. the reason we have chosen to work with you to create this prosperity program. of people on the planet can even begin to untangle. That’s the only way I can look at the above photo … I know that some well known World Servers are DOING LOVE and that positive solutions are in the process of manifesting on Earth! In the process, there may be a clash of the extremely negative with the very positive. When that time comes, it will be a time to “focus only on the positive outcome”! Filed under: Balance |	Comments Off on How Many Will Not Read This, Thinking It May Mean Focusing On the Negative? 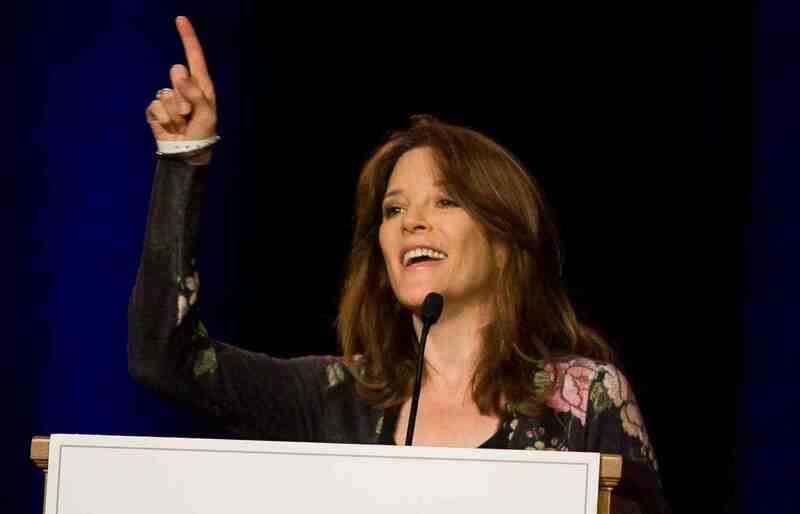 MARIANNE WILLIAMSON SPEAKS AT A DEMONSTRATION AGAINST MONSANTO – LISTEN! In my opinion, Marianne Williamson succeeds in recognizing—as few others can—the positive and negative aspects of life and how to bring them to the zero point of balance. She comprehends how to see the problem … understand the adverse impact it has in our world … and then, take physical action to create a solution that renders a better world for everyone. She knows that simply to focus on the positive does not correct the problem. For example: I might choose to take positive action for myself and eat only organic foods; BUT the problem still exists and is growing to a point where I may be unable to find or grow organic foods in the very near future. The New Age philosophical suggestion to focus only on the positive creates confusion for many. To focus on the positive does not mean to ignore the problem and allow it to fester. Focusing on the positive means to recognize the problem and seek positive solutions. Thus, demonstrating against Monsanto becomes a necessary step in creating an environment that provides only nutritious, unaltered foods. Monsanto cannot be permitted to take over our food supply, which is its clear intention. We have allowed our planet to disintegrate to the point of near extinction by paying no attention to the problems. Monsanto is simply one example. If allowed to patent all seeds—which it is attempting to do—humanity will have ONLY genetically modified food to eat. What are genetically modified foods? The internet is rampant with disinformation stating that GMOs are beneficial. Read the reasons listed for being more nutritious, then follow the money in seeking truth. Anytime humanity chooses to alter nature and the natural order of life, we destroy divine creation. Just look at our planet today … no further evidence is needed. I celebrate when Marianne Williamson speaks at demonstrations because she has an outstanding ability to place the problem and its solution in a balanced perspective. Listen to her at the URL below. Marianne’s book, Healing the Soul of America: Reclaiming Our Voices As Spiritual Citizens is excellent. In this book, she reveals that the same principles we use to heal ourselves can be used to heal our planet. When we heal ourselves, we recognize our need for healing (i.e. the problem) and take positive action (i.e. the physical doing) to create the solution. In the same way, we can heal our planet. Positive thinking + positive physical action = positive solutions. Postscript: One of the most lethal disinformation tactics used on those who are attempting to awaken the people to the truth of all that is happening on our planet is to label them as having a victim mentality. Once more, Monsanto offers the perfect example. At present, WE ARE VICTIMS OF MONSANTO’S ACTIONS … we are, often unknowingly, eating and suffering the consequences of genetically modified foods. To recognize this fact is not to adopt a victim mentality. Instead, it is to awaken to the truth of actions being perpetrated against the people on this planet and, hopefully, take action to bring about a positive solution. Filed under: Awakening, Balance, Marianne Williamson, Monsanto |	Comments Off on MARIANNE WILLIAMSON SPEAKS AT A DEMONSTRATION AGAINST MONSANTO – LISTEN! HOW DO WE ACHIEVE BALANCE BETWEEN POSITIVE & NEGATIVE? As we near the end of our sojourn on the 3rd dimensional plane of duality, a part of the creation process for our galactic society will entail bringing our lives, and that of the entire human family, into balance. How will we accomplish this? Let’s first consider achieving balance on an individual level. As a vocational rehabilitation counselor, my job was to evaluate each client’s personality/physical characteristics and the skills that could be developed into a vocation. This meant knowing the negative characteristics as well as the positive. The evaluation would have been useless if I did not get to know the negative influences that would impact the client’s capacity to function successfully. At first sight, the negative might outweigh the positive to the point where the situation seems hopelessly imbalanced. The goal of vocational rehabilitation is to know the negative and then, to use the positive to achieve balance, as demonstrated by a well functioning individual. During the rehabilitation process, we are focusing on the positive characteristics and developing them. The more the client uses the positive characteristics, the more balanced his/her life becomes. We did not ignore the negative; instead, we got to know the negative and the positive, then developed the positive. Both men recognize that we have to focus on the problem, i.e. the negative, long enough to understand its systemic causes and to decipher the seeds of solution, i.e. the positive. However, there is a difference between focusing on the negative – and – evaluating the problem that we consider to be negative in search of the seeds of its own solution. As we search for the seeds of solution, we are not focused on the negative. Instead, we are looking for the pathways to the positive. It works! Now, each time I send Light to Iran or Afghanistan, my thought energy goes to the beauty of the country and its people. As we get to know the beauty (or positive) and focus on it, we are envisioning peace rather than a war-torn country or the possibility of nuclear weapons. It isn’t that we ignore Iran and Afghanistan because we don’t want to energize negative energy; it is that we focus on the beauty … look into the eyes of the people and love them … and know we want peace for our precious brothers and sisters. I was startled to find in the photos of Afghanistan—a country that has been under near-continuous military attack since the 17th century—that it possesses an aura around it that I perceive as the blue of devotion and Archangel Michael’s Blue Flame. A very important consideration regarding what we presently know as one of the most corrupt (thus negative) facets of our 3rd dimensional lives is the political arena. Politics is literally a dirty word and with good reason. 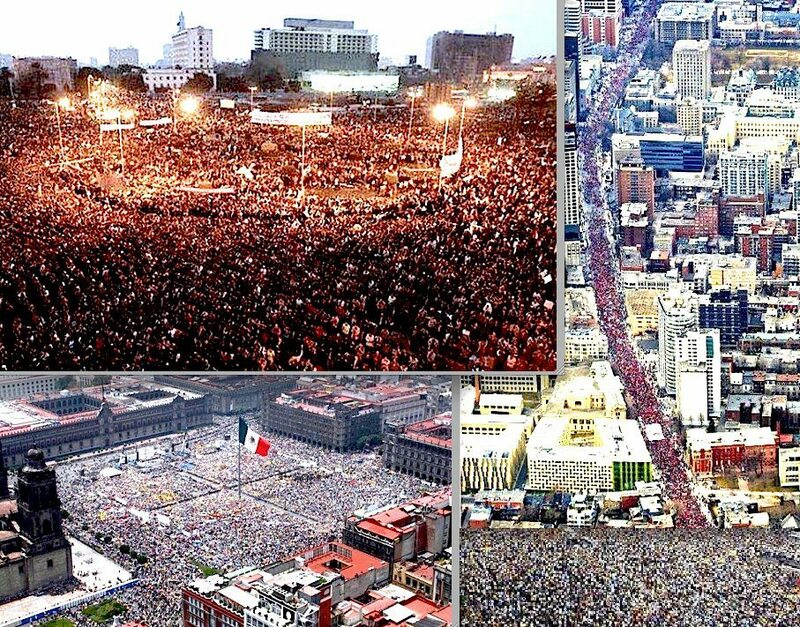 However, the end result of very well meaning people not wanting to focus on the negative has been that many of the good and often very capable people in any nation have refused to get involved with politics. 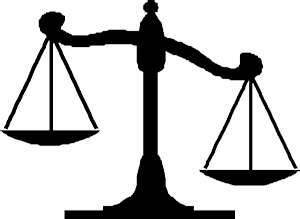 It is easy to see how imbalanced governments become when a large portion of the citizenry, especially those seeking the good, refuses to get involved. In 2012, our entire planet is on the verge of being tasked with creating a galactic society as the old, corrupt society crumbles. Every human being will be needed as an involved citizen to cooperate in this planetary endeavor. I feel sure that for awhile there will be pockets of negativity representing problems awaiting evaluation and the finding of the seeds of its own solution. These solutions, or positive alternatives, will be found as we seek with the higher level of consciousness that will be ours as we ascend. We can then work together from a higher level of consciousness than that with which the problems were created. May we begin today to learn to think in accordance with a higher consciousness—to solve the problems of our society from the standpoint of a much higher conscious awareness than the one on which our societal problems exist. Together, as ONE, we will achieve balance! Not by focusing only on the positive, but by cooperatively evaluating the negative in a search for the seeds of solutions, thenplanting, watering, and harvesting those seeds together! THE 5TH DIMENSION IS ONE OF BALANCE! BALANCE BRINGS LIGHT & DARKNESS INTO LIGHT! 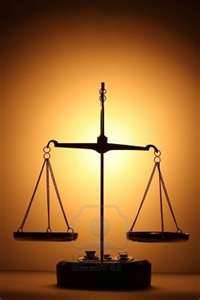 BALANCE = A CONSCIOUS AWARENESS OF THE ONENESS OF ALL PEOPLE! Filed under: 2012, Afghanistan, Ascension, Balance, Iran, Thought energy, Unity |	Comments Off on HOW DO WE ACHIEVE BALANCE BETWEEN POSITIVE & NEGATIVE? Recently, repeatedly statements by our galactic family through a variety of channels made me question the way in which the New Thought/New Age metaphysical teachings have led us to think and create. We have been instructed to focus on the positive and give no energy to the negative. Our thoughts are energy; energy is neutral until we color it by the way in which we direct our thoughts. Energy focused on the positive increases the positive; energy focused on the negative increases the negative. Although I have found these metaphysical teachings to be extremely meaningful, I am now suspecting that they constitute only one step on the path to ascension to the 5th dimension. This Path to ascension and co-creation also includes some very subtle steps that are just now emerging into our group consciousness. Rather than take a chance on misinterpreting our galactic family, I will state what I have heard them say. My perception of what they have said is that we are to be educated as to the myriad ways in which the dark cabal has enslaved us. This education is important as we near the end of our sojourn on the 3rd dimensional plane of duality. The paradoxical statement is that we are to give no fear or other negative energy to the dark cabal. I sense subtle meaning here that has to do with our learning to balance negative and positive rather than attempting to ignore one of the polarities. 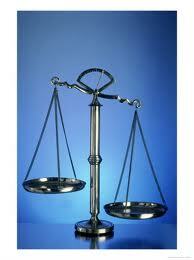 My intuitive sense is that balance characterizes the 5th dimension and higher. Unconditional Love is based on balance. In the coming days and weeks, we who choose to ascend with Mother Earth will need to learn balance. As we are educated regarding the degree to which the dark cabal (or negativity) could extend its enslaving tentacles while we focused elsewhere, the goal is that we perceive it is balance—not focus on either polarity—that is needed. In utilizing the concepts of positive thinking, we have learned much about creating the good. But, we have remained unbalanced. Now that planet Earth has entered the 4th dimension where duality still exists but is evolving toward balance, we are to move an additional step forward on our Path by learning balance. We cannot learn balance by ignoring the negative polarity. By doing so, we create more imbalance. By focusing on the positive, we have unknowingly allowed more negativity in the form of discrimination, poverty, starvation, and emotional suffering to take place. It seems we have much to learn in the coming weeks regarding creating balance out of duality. For it is only when we achieve balance that we can ascend into the 5th dimension. [i] http://www.lisamharrison.com/?p=800 Bill is a former Navy Seal whom the military trained in telepathy and remote viewing, where he excelled. He had above top level security clearance and was the one selected to work with the research done via Project Looking Glass.